I am considering going to watch and photograph the military jets doing low level close course training there. And was wondering if anyone has been and could shed some light on this or maybe go there. It appears to be about 3 1/2 hrs out of Vegas or 4+ from the LA area. I like watching the jets in flight and the distinct viewing perspective from level to and above the aircraft is really appealing to me. Raptors baby, Raptors. F22, the plane the F35 hopes to be. However, anything currently flown can be see at this location. 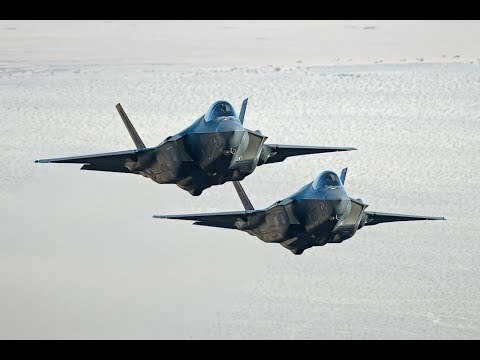 The clip above has many including F15C, F15E, F16, F/A18, F22, F35, Mig 31, Su27 and many more. Where's @drasnor? I bet you would be interested in going. And it's not far from home. Its OK, I'm just being a jerkwad. But dont get me started about singular bulges vs double bulges. I knew I could draw out the trolls. I WILL ALWAYS TAKE THE BAIT. I CAN'T HELP IT. When you recognize the bulge. I've never heard of this, but it sounds freaking amazing. A bit too much of a haul for me unfortunately. I hope you go and get some great shots, be sure and share them if ya do. I have interest. You got a date range in mind? I presume there is a schedule of when they would be training. Sounds pretty awesome. My stepfather worked on the F-22 and is now retired and likes to travel so I'll have to see if he and my mom would be interested in the trip also. @cola, We have wayz of making you Taco. Just think about it. @BobbyDigi, I am thinking about going to the drag races in Vegas October 27 and 28. Then I was thinking of jet watching after that. My sis has a pass for me to get into SEMA from October 30 to November 2. And if I make that trip I will drive my pickup. I understand that there is no set schedule that we can use. So they just show up and there is always the chance of nothing, a little or a lot. Oooo... That week of Halloween is bad for me. I'll be in Vegas most of the week for a trade show and probably can't take time off after that for a few weeks then we are getting to holidays. Welp. I'll step back with the "Post pics!" crowd. That's the same week I will be in Vegas. Here's a link to some good info on the place. In that case, PM me with your availability. I am still considering the week of Halloween. It looks like I will be changing my schedule to try this in early February. I would be driving from the LA area if I get to go then. Hey @drasnor, your job doesn't give you a gate pass to Edwards? I have been reading about the test flight museum on base. It really sounds cool. @drasnor, Thanks for checking out the tour info. I am trying to get to go to the NHRA Winter nationals on February 10 if anyone else would be interested in addition to Death valley. How does that time frame line up for anyone else? I am thinking of flying into LAX and renting a car. Then it would be easy to all pile in together to go to watch jets.